The K&M Tuba Stand is suitable for both German and English tubas. Support arms are fully adjustable to enable a perfect fit in height and width. All support parts are covered in an exclusive non-marring coating, which will help protect the instruments finish. 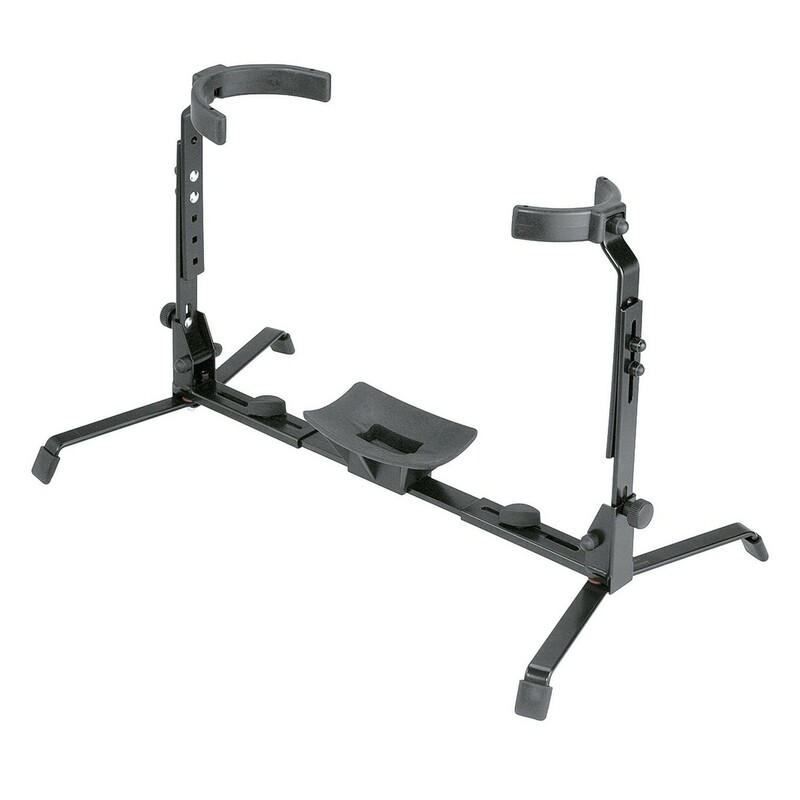 The stand is made from strong steel and is finished in black.